The best things in life don’t always come easy. For a Mac user, buying the best external hard drive for their computer is a must but how does one determine which drive is the best? We explained some of the factors to consider in our buyer’s guide. If you’ve taken a look at that buyer’s guide, then reading the rest of this article would help you chose the drive that suits your needs and your pocket and perhaps, help a friend of yours who is still scouring search engines for the best external hard drive for mac 2019. Whether you’re using the MacBook with the Touch Bar or you’ve got an old Mac with a USB 3.0 port, this table below shows you a list of some of the best external portable hard drives that will give you a value for your money including their features such as storage size, interfaces, weight and the OS they are compatible with. Many of the users of this huge storage drive have reported on Amazon that this external hard drive isn’t portable with the Mac OS X El Captain. This is a huge turn off for most people who have their Mac running the El Captain OS and have probably updated to the latest version . 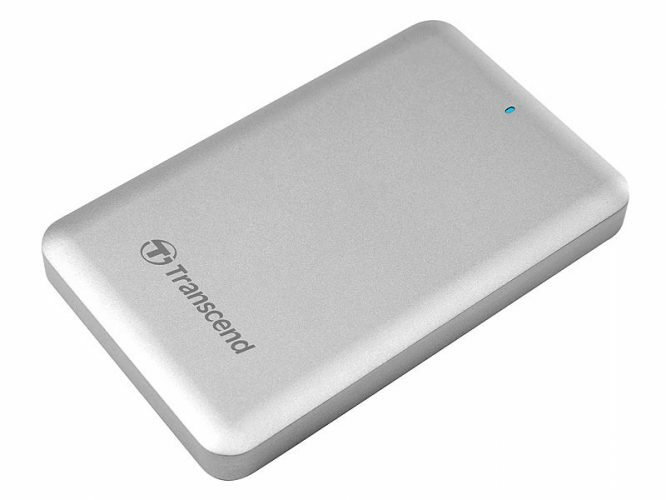 Here’s a proper review of these best external hard drive for mac listed in the table above. The Buffalo Mini Station is an excellent drive for Mac. It stands out of its group as a reliable drive which gives users a value for their money – other drives in the Mini Station series include the Buffalo Mini Station plus, the Buffalo Mini Station Air (Wireless) as well as the Buffalo Mini Station Extreme NFC (a fast and rugged drive). The Buffalo Mini Station comes in two variants; the Buffalo Mini Station with Thunderbolt and the Buffalo Mini Station with USB 3.0. We made mention of the Buffalo Mini Station with Thunderbolt in our article on the best Thunderbolt external hard drives for Mac 2019 has to offer. The Buffalo Mini Station drive measures roughly 4.5 x 3.0 x 0.6 inch and weighs about 0.5 pounds. The drive comes with three storage capacity options; 500GB, 1TB, and 2TB. 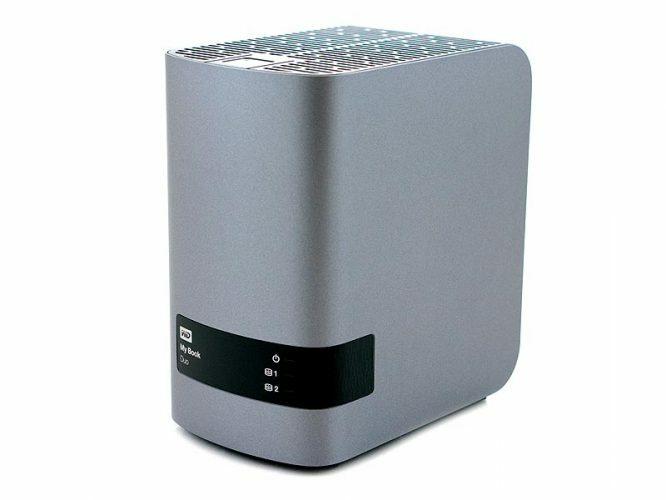 For Mac users who are keen on backing up their data using Time Machine, the Buffalo Mini Station is more than ready to handle the task since it is time machine compatible. The drive is quite small and its casing is made of plastic which leaves it susceptible to breaking at any time. The drive comes with a two-year warranty and is shipped with the USB cable. According to information on the BuffaloTech Website, the drive is preformatted for Mac in HFS+ format and so it requires reformatting for it to be able to work with Windows. Conclusion: While the Buffalo Mini Station fails with regards to encryption, using the Turbo PC feature the drive is equipped with, one can enjoy fast transfer speeds alongside a plethora of options which the drive’s Bolo Utility tools from the company provides end users with. Albert Filice of Macworld described the WD My Passport Pro with four simple words: A hefty portable RAID! Yet in spite of its size, the drive is humble when it comes to power consumption as it is bus powered. No other drive transfer’s files faster than the Passport pro as it makes use of its integrated Thunderbolt cable to move your data faster than you can say the word “transfer”. If that’s not enough, you’ve got two RAID options to select from to achieve blazing transfer speeds – RAID 0 is default – as well as JBOD. 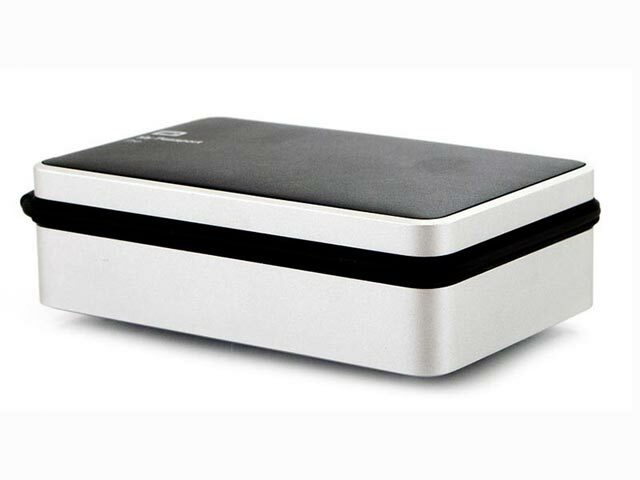 The My Passport Pro was the first Thunderbolt enabled drive Western Digital released for Mac users. An all metal enclosure houses the main 2.5 inches 5400 rpm SATA drives. WD provided two storage capacity options of 2TB and 4TB so you do not have to worry about filling up the storage device quickly although it’s quite easy for storage hard drives to get filled up nowadays. The drive is Time Machine compatible and is formatted out of the box in HFS+ format. There’s a three-year warranty on the drive and the rubber bumpers on the side provide a little bit of cushion for any bumps whilst the fan turns itself on when the drive gets hot. Western Digital showed how user-centered they were by saving buyers of their products the stress of spending an additional $50 on a Thunderbolt cable, by permanently attaching a Thunderbolt cable to the drive. This also comes in handy and saves one from constantly losing the cable. The drive measures 5.7 x 3.5 x 1.7 inches and weighs about 1.6 pounds for the 4TB version and 5.6 x 3.5 x 1.1 inches with a weight of 1.2 pounds for the 2TB version. Changing the drive from RAID 0 to another RAID mode may cause the drive to malfunction. More so, the drive’s Thunderbolt cable is non-detachable which is great, however, in the event of a damage to the Thunderbolt cable, the drive would be as good as dead. Conclusion: If you strictly looking for a Thunderbolt external hard drive for your Mac, WD’s My Passport Pro might just be the answer. 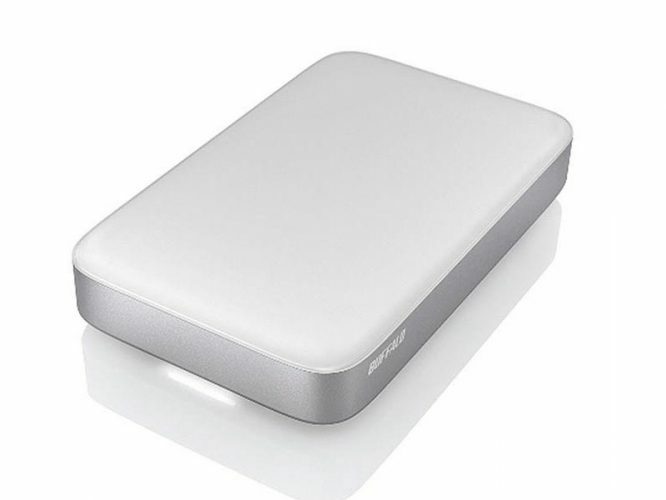 You could also check out other Thunderbolt portable drives for Mac here. Sometime in 2015, LaCie announced they would be shipping their drives with native Support for USB-C. They have lived up to their word with the LaCie Porsche HDD which reeks of the poise, affluence, and integrity Porsche Designs, a subsidiary of the German automaker Porsche, is known for. Weighing just about 0.5 pounds and measuring 5.1 x 3.0 x 0.6 inches, the LaCie Porsche is housed in a glossy aluminum casing which gives it an aesthetically appealing look. The drive is available in 2TB and 4TB storage options and is slim and sturdy with a textured finish a typical Mac user is accustomed to. Since the drive uses the USB-C port, LaCie ships it alongside with its cable and a USB 3.0 adapter so you can conveniently use the drive on your Mac PCs with USB 3.0 ports. There’s a light indicator to the side of the drive which of course, is bus powered. If you’d love to have an extra layer of protection covering your drive, the encryption feature on the LaCie Porsche Design drive would encrypt your data for you. Other tools that come with the drive include the Backup Assistant, LaCie’s Genie Timeline as well as the Desktop Manager tools to help you manage the drive well. The drive is compatible with Mac and Windows computers although reformatting is required for the later. According to Amazon reviews, the drive might chicken out on the user at any time when it starts un-mounting itself. It could freeze your PC for a few seconds when it’s booting and might make some audible noises you’d not like to hear. 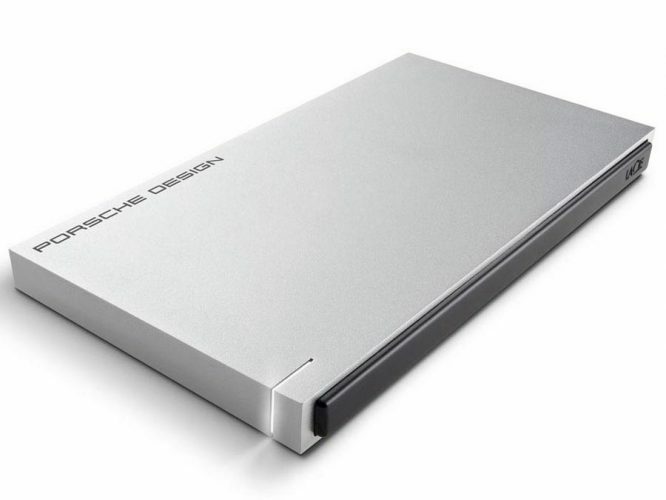 Conclusion: The LaCie Porsche Design external hard drive is an embodiment of the stunning design, swift performance, and sturdiness. If you’d love to enjoy the power of Thunderbolt and USB 3.0 in one drive, there’s no need to look beyond the Transcend Storejet 500. Sleek, slim and beautiful are three words that best describe the drives physical features. The Storejet 500 has an aluminum casing with a silver finish that gives it a professional look while it sits idly beside your Mac. The drive weighs just about 0.5 pounds and measures about 2.5 inches in its casing which itself measures 0.68 x 3.0 x 5.0 inches. The Storejet 500 packs the power of the Thunderbolt and USB 3.0 and as such is compatible both with a Mac and a Windows PC. However, the drive is more “Mac friendly” and works out of the box formatted for Mac in HFS+. Data transfer speeds are good on the drive, even though they are quite lower than the numbers advertised by Transcend. The Storejet 500 comes in 3 different storage capacities; the 256GB, 500GB, and 1TB and it is worthy to note that all of them come equipped with Transcends’ Elite Software, as well as the 256-bit AES encryption feature. There’s a 3-year warranty covering the products. Occasionally, one may notice that USB 3.0 speeds are slightly on par and sometimes a bit higher in terms of data transfer speeds, which is not supposed to be so. Conclusion: The Transcend Storejet 500 is ever ready to handle your storage without any problems other than the fact that its speed disappoints Thunderbolt fanatics when it comes to transferring data. LaCie’s Little Big Disk nicknamed small but mighty for its miniature design yet powerful transfer speeds is the next drive on our list of the best external hard drives for Mac in 2019. The drive comes equipped for the task at hand with two Thunderbolt 2 port which is downward compatible with Thunderbolt, so you shouldn’t be afraid of the drive not working on your Thunderbolt-only Mac. The Little Big Disk requires an external power source for it to work, a huge downside of this wonderful and powerful drive, but it makes up for that in terms of its blazing fast transfer speeds. The drive measures 5.5 x 1.6 x 3.3 inches and weighs a whopping 1.4 pounds, twice the weight of some of the drives on our list. It works out of the box with any available Mac computer and has RAID options you can select from. And if you’d love to encrypt the data you’ve got on the drive, the Little Big Disk is up to the task, given that it supports AES 256-bit encryption. LaCie ships the drive with the Intego Backup Manager pro for easy management whilst it gives users a three-year warranty for the drive which costs a premium. LaCie could have won the hearts of many if they had a 2TB or a 4TB version of this drive up for grabs. But that would surely cause the price to become higher than it already is. For a limited amount of storage – 1TB in this case – the Little Big Disk ought not to cost a premium price, but it does, and it’s still not bus powered. Conclusion: For just about $1000, you can experience the ultra-swift power of LaCie’s Little Big Disk Thunderbolt 2 if you prefer speed over large storage options. Say hello to the father of all the storage drives on our list – this large desktop drive for Mac comes with a whopping 8TB of storage space (there are 4TB and 6TB versions available). Housed in a shiny plastic casing and weighing a whopping 5.2 pounds, the drive measures 6.5 x 6.2 x 3.9 inches. There are two configurable RAID options to choose from, not forgetting the JBOD mode. The WD My Book Duo comes with two Thunderbolt ports that allow for daisy chaining at any point in the chain. WD also helps the user save $50 by shipping the drive with a Thunderbolt cable. The drive, however, lacks USB 3.0 ports and as such isn’t compatible with Windows PC or with older Mac PCs that have only USB 3.0 ports. There are openings everywhere and these openings help ensure that the drive is properly ventilated thus stays cool during usage. There’s a three-year warranty on the drive which as expected, given its size, isn’t bus powered. Such a drive with a huge storage space as this is ample for backups. The drive lacks USB 3.0 ports and as such may be incompatible with old Mac models, thus making a backup of data from such computers impossible. Conclusion: If you solely want a Thunderbolt external drive with enough storage space for your needs and you aren’t really concerned about transfer speeds, then the WD My Book Duo Thunderbolt Drive would be a great choice for you. Tech geeks and photographers would certainly love Western Digital’s My Passport Wireless, given that it is one of the best wireless external hard drives that is compatible with Mac. The My Passport Wireless is slightly different from the My Passport Wireless pro in terms of design since both have virtually the same functionality. The design isn’t that great, but who cares? The bus powered drive with its minimalist design can also serve as a media server whilst the drive allows you to connect to the internet, devices that are connected to it. WD’s My Passport Wireless is available in 3 different storage options; 1TB, 2TB, and 3TB and is compatible with both Windows and Mac OS since it sports a USB 3.0 port. The USB 3.0 port is quite useful when you want to transfer extremely large files which might be slow to copy during wireless transfers. For photographers, this drive comes with one of a very important and helpful feature; an SD card slot. Simply pull out the SD card from your camera, slot it into the drive to initiate copy automatically. Under the hood is a battery that can power the drive for up to 6 hours whilst staying connected to 8 drives – it streams simultaneously to at least 3 without any hitch. The 1TB version of the drive weighs just about 0.6 pounds while the 2TB version weighs about 0.7 pounds and all the storage option variants come with a two-year warranty. Serves as a media server and also allows connected devices stay connected to the internet. Aside from the fact that the battery life doesn’t last at least for 10 hours, the drive also lags when you’re streaming high definition movies on more than 3 devices. You’d also be needing an AC power source to charge the device. Conclusion: Western Digital’s My Passport Wireless packs the power of a wireless drive and a USB 3.0 enabled drive within its casing for the price of one even as it offers large storage capacity to suit your needs. Shaped like a fuel jerry can, the LaCie fuel is in the words of Dong Ngo of CNET in his review of the drive, “the same as the Seagate Wireless Plus” in functionality and in basic features. So why would Seagate the owners of LaCie make another drive like the one it had already made? The drive measures 4.5 x 4.5 x 0.9 inches and weighs about 0.6 pounds. Its design is quite unique – never seen before as it was designed by the popular internationally recognized designer Philipe Stark. The drive is available in two different storage capacities; 1TB and 2TB, and spins at 5400rpm. Using the LaCie Fuel, one can connect up to 5 devices at a go and stream to 3 of those devices. 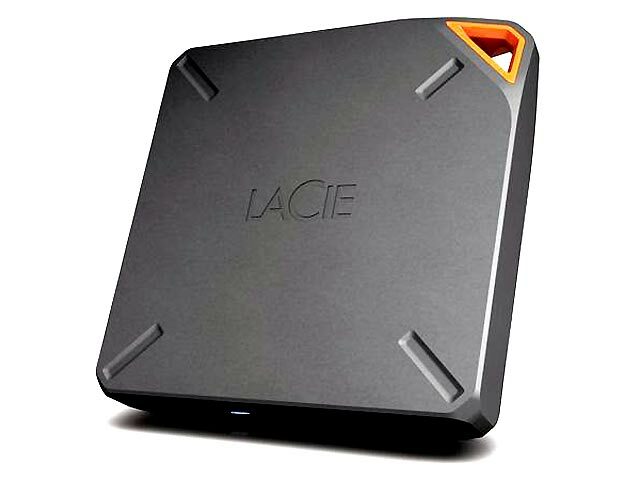 The LaCie Fuel can be used as a Network Attached Storage and still be able to connect to the internet whilst still connected to it. According to LaCie, the LaCie Fuel can last for up to 10 hours. Need I say that the LaCie Fuel also supports USB 3.0 which of course turns off the Wireless feature if the drive is plugged in using the USB cable. Connecting to you Mac as well as and to other devices is a breeze. One of the major downsides of the drive are its inability to work well with iTunes downloaded videos. Some Amazon users reported the drive is incompatible with iOS 8. Conclusion: Turning away from the norm, one would enjoy long lasting battery life on this drive on the go and not worry about where to store their precious data. Last, on our list of the best external hard drives for Mac 2019 has to offer is the Seagate Wireless Plus. Measuring 5 x 3.5 x 0.8 inches and weighing just about 0.6 pounds, the Wireless Plus provides a plethora of options for users. It has a USM port which provides support for USB 3.0 and Thunderbolt which could be used via adapters. Seagate provides this wonderful wireless drive in just 1TB storage capacity which apparently is ample storage for a handful of movies when you are on the go with your family. The drive packs into it enough power to stream continuously and simultaneously to 3 devices at a go. The Seagate media app comes in handy for managing your wireless connections on the app. Just like the other aforementioned wireless portable hard drives for Mac, the Seagate Wireless Plus allows you connect to it and acts as a router for your internet connection, so you need not disconnect from it to connect to the internet. Storing files on the drive is a drag and drop affair as the drive automatically sorts the files by type. What’s more? The Seagate Wireless Plus is also DLNA and AirPlay compatible and Seagate has been claiming that the drive would be compatible with Samsung Smart TVs in the nearest future. Battery life on the drive is somewhere in the neighborhood of 10 hours although usage determines how long the battery will last. The Seagate Wireless Plus doesn’t stream iTunes purchased videos as reported by some users on Amazon. Aside from that, the drive has a limited storage space. Conclusion: The Seagate Wireless Plus device is yet another wonderful Wireless Drive for Mac that provides a first-hand feel of what it is like to have a wireless storage drive connecting your devices at a time. There you have it… a list of 10 of the best drives that are affordable for your Mac. Choosing the best external hard drive is up to you – always take into consideration the factors we shared in the buyer’s guide below. Your new MacBook is a marvel of engineering. Yes, agreed. However, even its large hard drive can’t keep up with the large amount of images, videos, and music that you store into it every day. Ultimately, you’ll need to archive them on an external hard drive. Besides, when your Mac’s hard drive crashes – and it may, you’re prone to losing years of family photos and other important information, if you have no backup external drive for it. If you’re looking to backup files on your MacBook Air/MacBook Pro device to an external hard drive, you’re reading the right guide. Not all Macs and their OS versions are created equal, nor do the interfaces that you’ll use to connect to the drive run at the same transfer rates or reliability levels. Choosing the best external hard drive for your mac is not a mystical art. By the time you’re done with this article, you’ll know what to look out for when you’re interested in buying the best portable hard drive, and why this site devotes itself to reviewing HD technology, as it continually evolves, and why you need to change with the trends that are coming down the pipe. Even today, you can have an archival capacity that dwarfs that of many companies in the 70’s, 80’s, and 90’s. 1TB, 2TB, 4TB, and 8 terabyte drives are becoming common for Mac users and within a few short years, this capacity will expand geometrically for future Apple OS and may be seen on the Macs that are currently lying on Apple’s drawing boards in the Silicon Valley. Why do you need to get an external hard drive for Mac – and the best portable hard drive at that? This is the first question you need to ask yourself when you begin your search for an external hard drive. This will determine the size, transfer speed, and the interface that will come pre-equipped with the drive of your choice. Videos often require large capacity drives and a relatively fast access rate to allow for viewing them, while images require a large capacity but not as fast access rate. 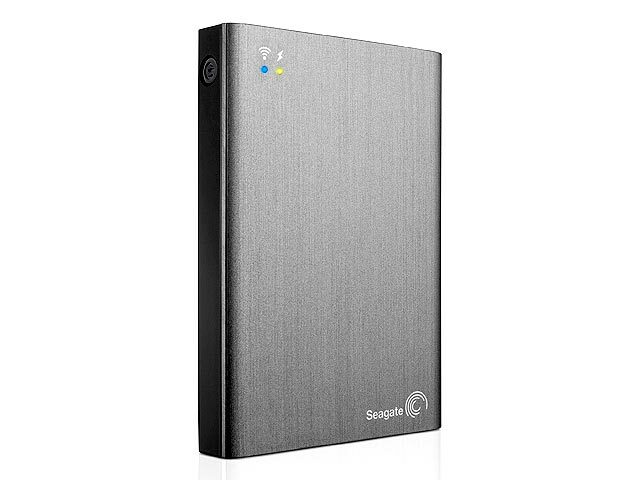 Would you get an external hard drive because of either the video or image transfer speeds? What if you are running a business that may require both of these elements as you need to access databases filled with product inventory and customer information? Would you overlook the other criteria for choosing a good drive for your Mac? 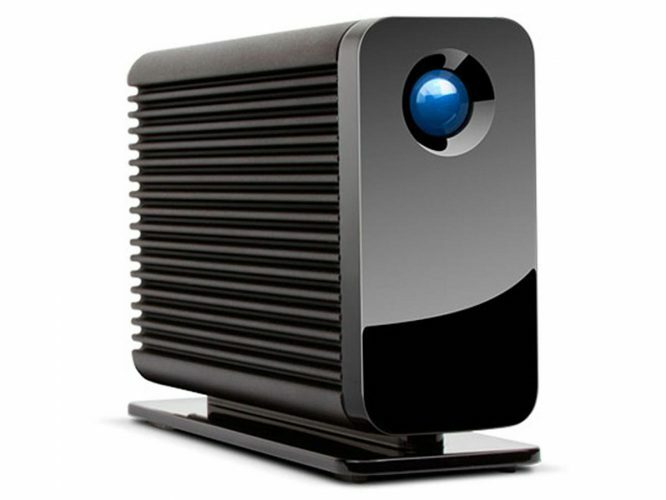 What criterion would guide you in choosing the best external hard drive for your Mac? What kind of Mac do you have? OS Compatibility and File Systems. This is another key issue that you need to address. Older Macs are not upgradeable in some cases to the latest OS releases based on hardware constraints of the unit. In the old days, the first Macs didn’t have the means access an external hard drive without using specialized hardware. Current Macs make use of a myriad of interfaces and the variety of hard drives and capacities often boggle the mind. You also need to be aware of the OS type and the file system your Mac is using. OS X has Time Machine and we here endorse it highly, as it allows for backing up of critical data and does it in a robust manner that makes sure it is almost impossible to lose data. So, the drives we like are fully compatible with this feature of OS X. The OS level also lets you know which file systems your Mac can use on your external drive in order to get the best utilization and speed out of the type of drive that it can support. The newer the OS and the newer the hardware all add up to more options to save your data and Time Machine makes everything happen. HSFS+ (Hierarchical File System) – Has been around from the Mid-80 on and the latest incarnation in OS X has extended drive size capability. The FAT or the one MSDOS is compatible with will only support 4 GB and is used mostly to support windows and the Microsoft files you may be using on your Mac. Variations of these files systems such as HFS+ can support journaling. This provides redundancy of data indexes and file structure that is a good idea to have on an external drive that will be connected and disconnected to prevent data corruption and loss. You, however, sacrifice speed in order to update the copies of the journals on the drive. But the slight loss of speed is more than made up in the ability to protect your data and not have to run a scan if you disconnect and reconnect accidentally, as journaled drives come up faster and transactions are saved and applied, often asynchronously operations are also possible instead of synchronously, as with non-Journaled HFS+ drives. So using journaling takes a little overhead and speed, but the benefits outweigh the drawbacks in this writer’s opinion. You will need to look at your Mac interface capability as well. USB 3.0 is now a standard and of course, you also have Thunderbolt 2/3 on newer Macs (2014 and up) as well as Firewire on the older Macs (2000 – 2011 and even USB connectors. You need to look at the year of your Mac and which ports are available before selecting your external drive, as this will dictate the type of drive you can attach. For example, if you were to have one of the old MacBooks, you would need an SCSI Interface capable HD, which in the case of the MacBook would only support 40 MB. This would limit the size and speed of your archival and the options for backup would also be limited. OS X uses Time Machine today and this provides you with a more versatile way of archiving data. So, you may need to decide on replacing an aging Mac to be able to maximize the technology and larger drive capacities as well. The speed and capacities of today’s external hard drives are almost impossible to keep up with. External 8 TB drives are becoming common and drives of 1 TB to 4 TB even, are becoming standard as the internal drive on some Mac configurations. So, it will be up to you to decide based on what your Mac will is doing and the amount and type of data are planning on using or archiving. External drives have many physical configurations, to go with the various connectors your Mac uses. Many are sealed, modular, and others have built-in cooling fans to prevent data loss and overheating. The SATA (Serial AT Attachment) drives often are hot pluggable and fit into quick remove slots in their case and allows for one enclosure to support a number of drives on a one at a time basis. The problem today is that there are a plethora of Drive Makers out there and many no-name or foreign companies. You will find here we only will talk about the best available. For example, SeaGate, which dead units once were used to build artificial reefs because of their high failure rate. Yet today they are some of the best on the market. Along with Seagate, Hitachi, Transcend, and LaCie are at the head of the list for the 100 or so makers of HDD drives in the world. You also now have the SSD drives (Solid-State Drives) as well. Their reliability is now on par with the HDDs but the cost is still a factor if you are on a budget. Again, the above are some of the leaders and there are many companies who vie for your attention and cash. Along with a brand name, you need to keep abreast of what the user community and the trade rags say about the various drives and their makers. 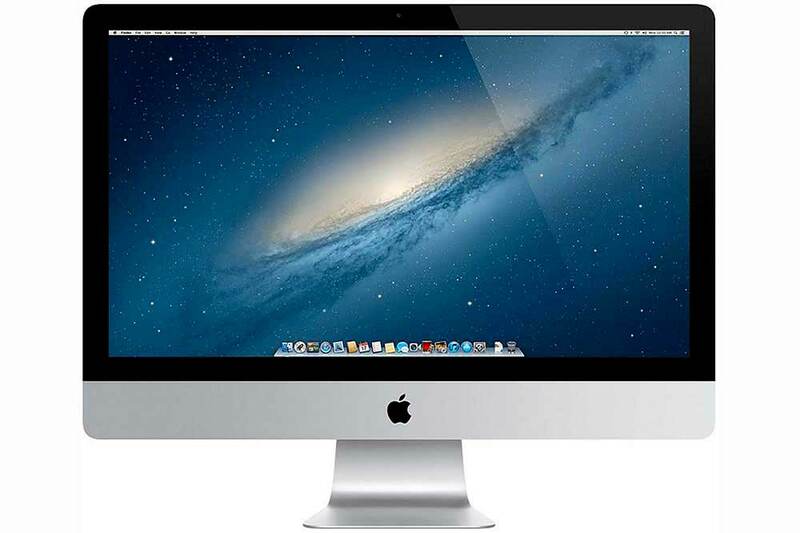 Using our website as a base to start from you can find out for yourself whether a certain drive is right for your Mac and the uses, you need it for. Strangely enough, you get the best warranty on a drive that will probably not fail. So if you want a good drive look for the longest warranty. This will cover you if the drive does fail no matter what. You are also ensured that the drive is the best available. So you can see with using our hints above you can create a list of drives and narrow it down to one that fits your needs and projected uses. So in the final analysis, it will be your research, our website, and your gut that tells you a certain drive is just what you want: best external hard drive for mac. We, however, will make sure you have the best available to make your choice from. Is the drive affordable – you know… is it within your budget? Does it have an SD card slot – the SD card feature comes in handy for photographers who are on the field. How many devices can it support wireless at a time? It is hard to find a good external hard drive. I’ve had so many in the past and every one of them fails after 4-5 years. I’ve learned t create backups of my backups. I don’t have a MAC however because they’re so expensive. Are the options here ones that would also work for a Windows PC? If not, do you have recommendations for one I could try that is reliable? I think 4-5 years is really good period for electronics to work, especially if you are using your drives extensively. About drives for Windows os – just check out home page and main table on it. If you drag and drop drive in column you will notice with which operation system it is compatible. Hello Elliot. I have recently read your interesting content on choosing the best external hard drive for your mac computer. Sooner or later, I will consider purchasing a mac computer in the near future. I read your top 10 list of the best hard drives for mac. You have given us valuable information on each hard drive and pointed out the pros and cons for each one. 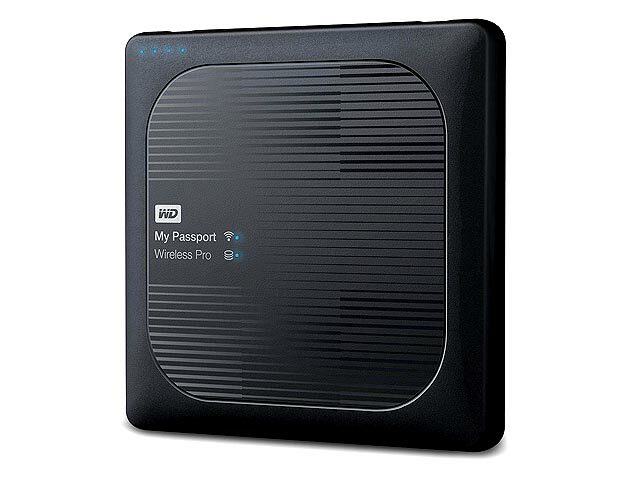 Out of the entire list,the WD My Passport Wireless is the hard drive I am most interested in. It can connect up to 8 devices at one time and it has a SD card reader. It is also affordable as well (price ranging from $160-$200). I want to take the time out to thank you for the info. Keep up the great work!!! Hey Elliot, first of all thanks for this interesting and very informative comparison on the different harddisks. I own a windows tower pc myself, so I actually prefer to just use internal harddisks. They also are cheaper. But all my other family members have a laptop from apple. So they need to use external harddisks. So thanks for the detailed reviews on all the different harddisks. These are some really great HDD options. I usually search for some good HDD review sites and this one really is a nice detailed website. It does give a better idea to anyone who is trying to make a purchase and these HDD options and recommendations are pretty good.It was a really informative page. I think I will go with the buffalo mini station. But I see that it will require reformating for windows. Is it something that may damage it or i should go ahead with it? Also, how much is it likely to cost me to have everything done? I want to have it working at its best potential. Type Control Panel in the search box.Click Control Panel – View by – small iconsClick Administrative Tools.Click Computer Management.Click Disk Management.Right-click on the drive or partition to format and click on Format.Select the file system – NTFS – and set the cluster size(better leave it as is). Excellent information. I’ve had various levels of success with external hard drives, and for a while had turned to using a home built NAS with OEM drives. It’s been Ok, but after reading this article, I think I may give the external drives a spin again since network speeds on a NAS don’t compare, in my opinion to an external with the lastest connection options Apple seems to support. Do you agree? If we are taking in consideration Thunderbolt 2 vs Gigabit switch (hope you are using it), than yes – thunderbolt 2 is much faster. But in data centers currently used switches which allow speeds up to Ten Gigabit and even some 40/100 Gbps. I thought I knew something about computers. But this post rained all over my parade. But it was very helpful indeed. I had little knowledge of external hard drives. I have to admit I have more insight on them now than I did when I first got on the internet today. Great Information on some of the best external hard drives for a MAC. This can always be a tough decision because there are always so many to choose from. There are quite a few listed here and the Pros and Cons of each different hard drive help make a decision. Which external hard rive do you personally prefer? Hi Elliot, your review is really useful for everyone who has a MAC or is thinking about to buy one. With the information you provided you make easier the process of select the appropriate external hard drive for a MAC, something that can be very difficult because of the variety that you can see in the stores and because of their prices. I think that your review its a great guide for someone who wants to buy an external hard drive for a MAC.